Stafford & Coomber started trading as a Partnership in 1979 and quickly grew to become one of the South West's largest and well-respected Electrical Contractors. We are NICEIC approved electrical contractors employing a full-time staff of 25 including overseeing contracts managers. 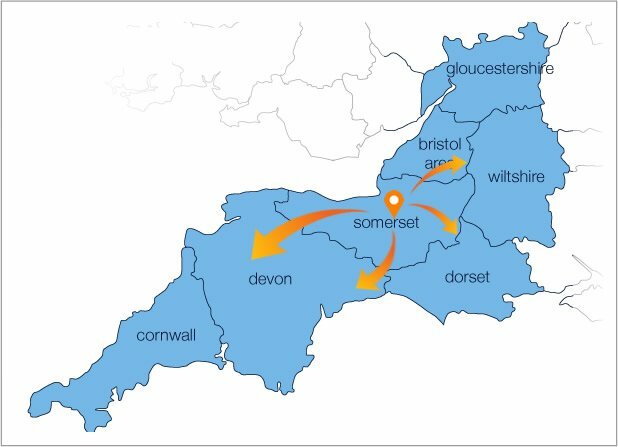 We are conveniently located near the centre of Taunton, Somerset, ideally placed to cover electrical contract projects throughout Taunton, Somerset, Devon, Dorset and Bristol. M5 Motorway: 10 mins from Junction 25 of the M5. A303: 20 Minutes from the A303 Ilminster roundabout. By Rail: 5 minutes drive from Taunton Train Station - we can collect you - please call to arrange.